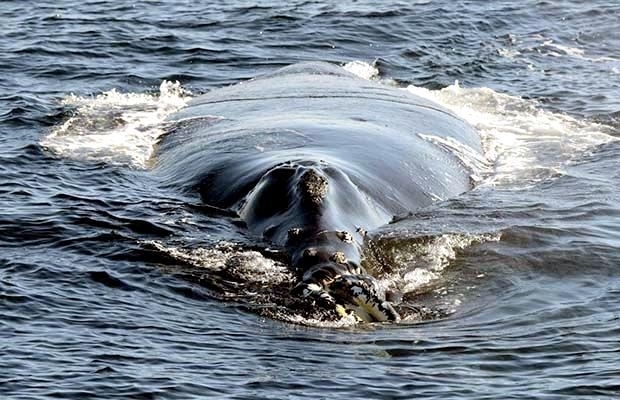 Northern Right Whales are similar in shape to Bowhead Whales being large and stocky but they are slightly smaller. 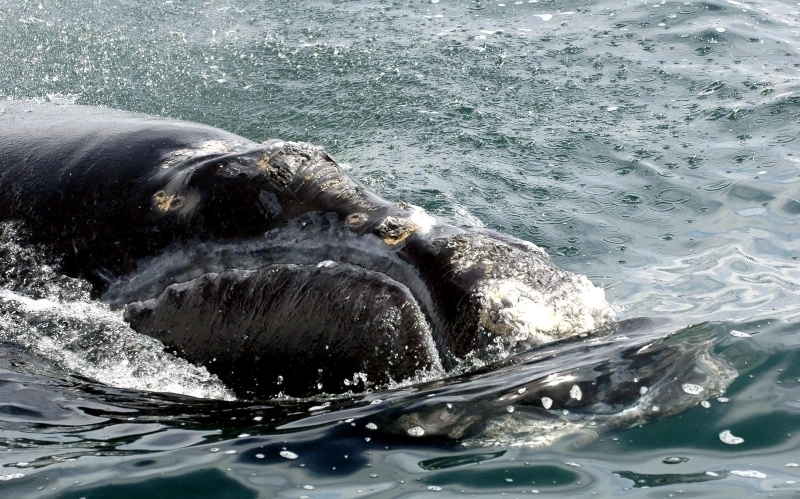 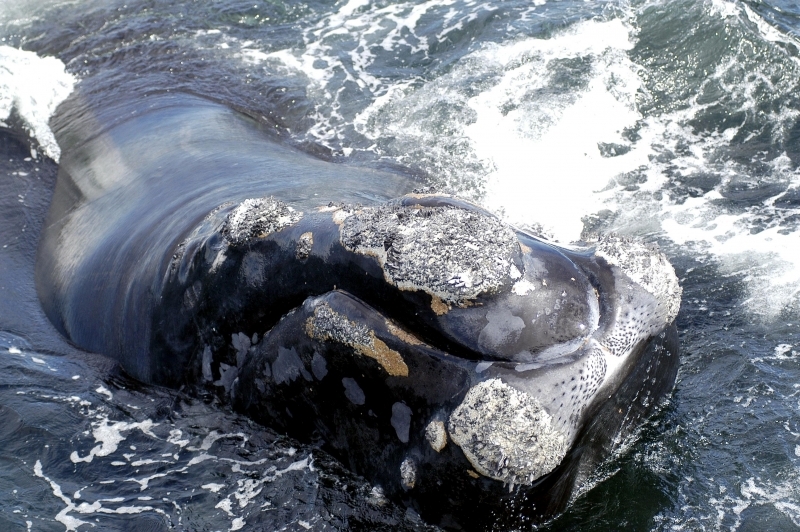 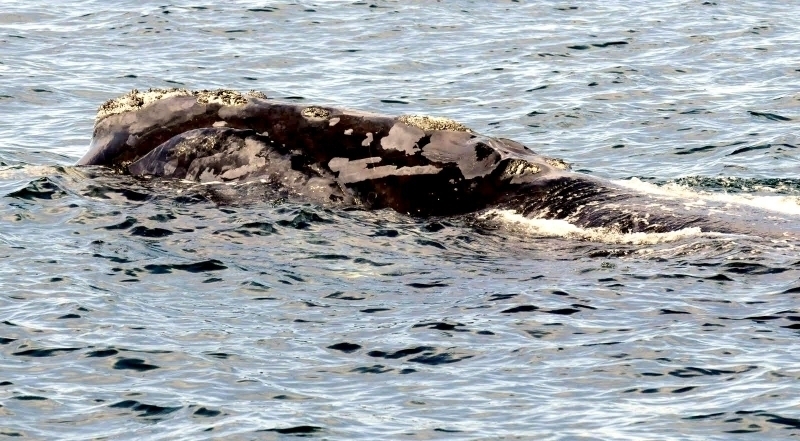 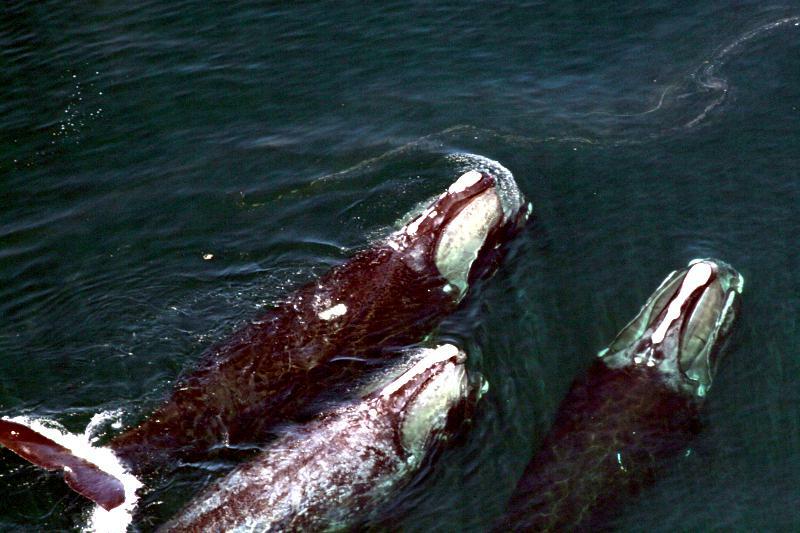 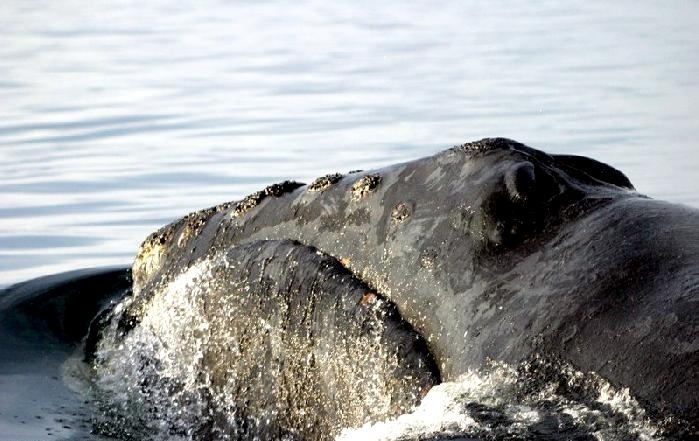 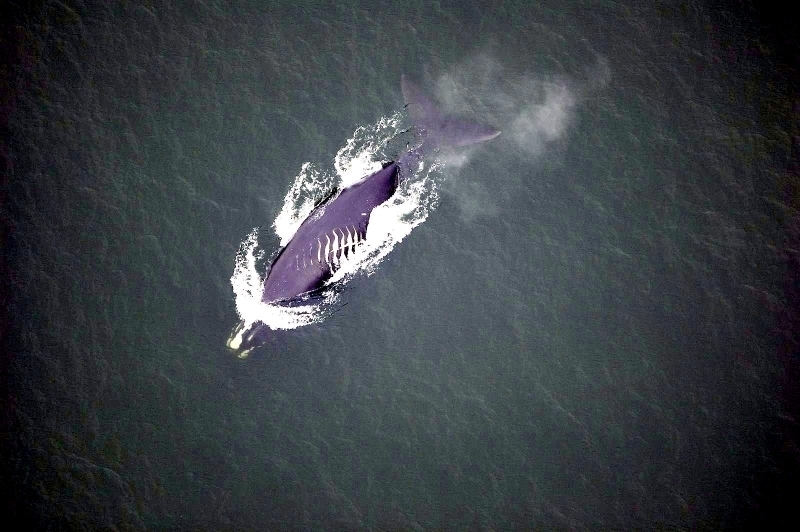 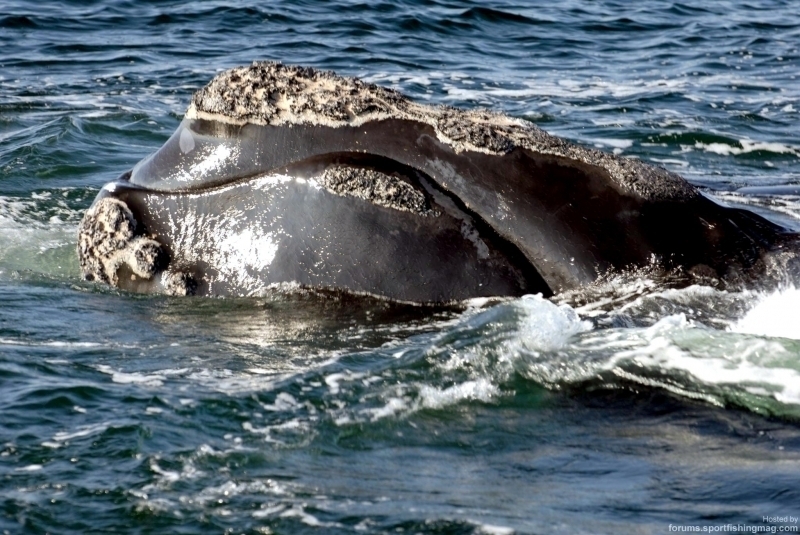 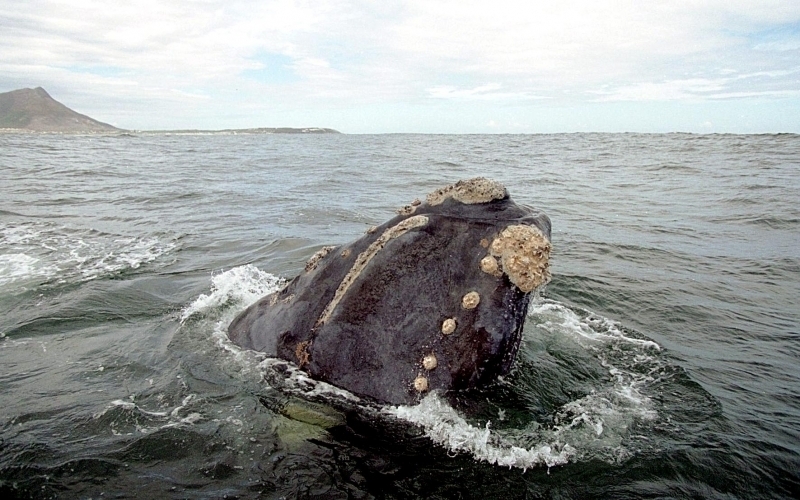 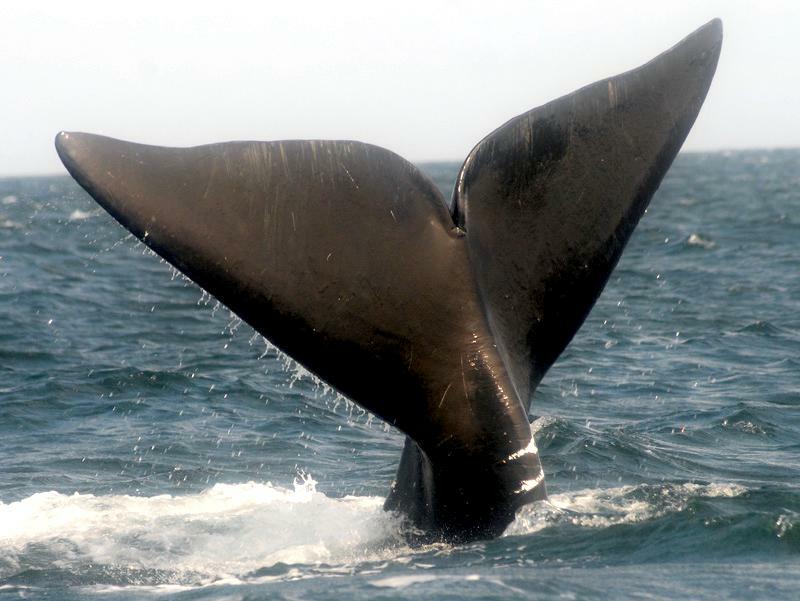 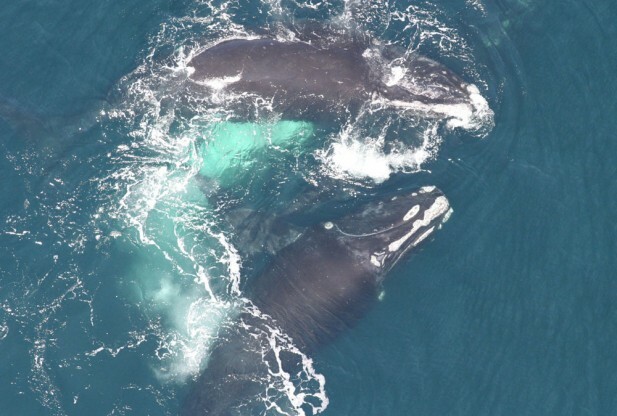 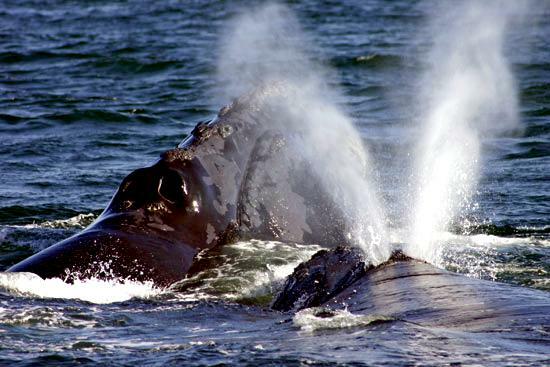 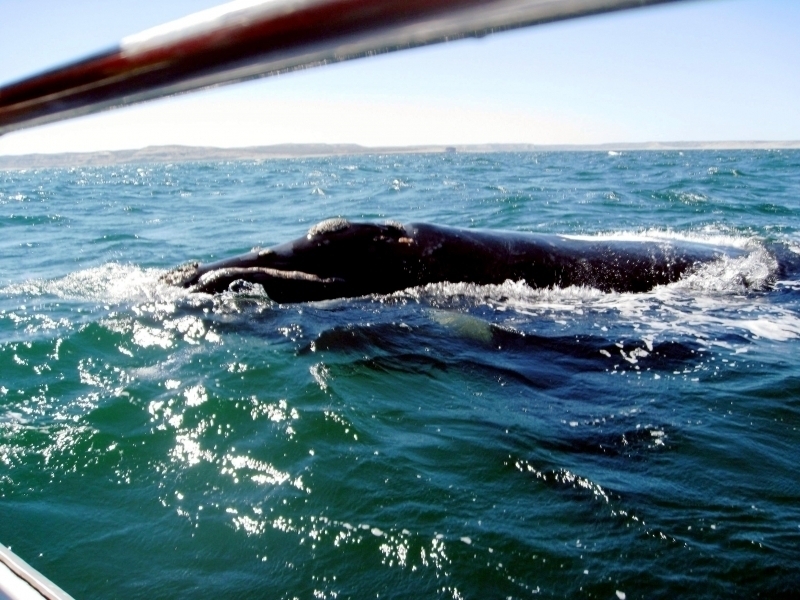 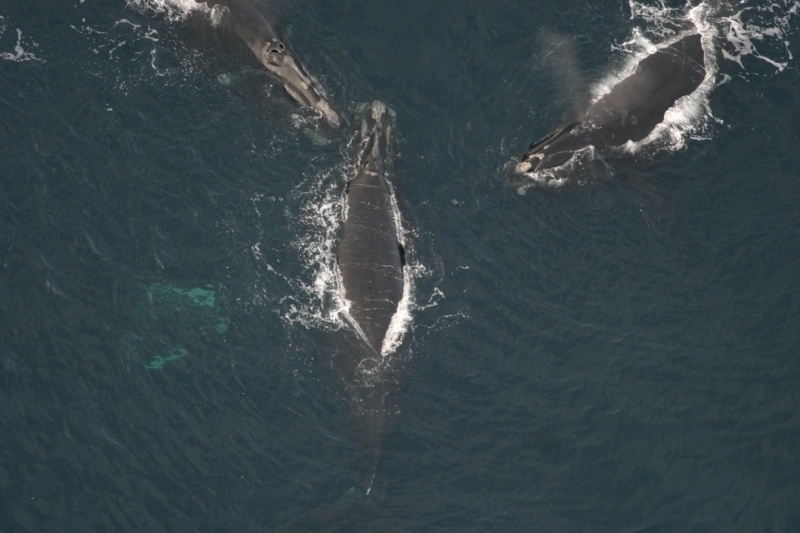 They are generally the larger of the Right Whale species with females being slightly larger than males. 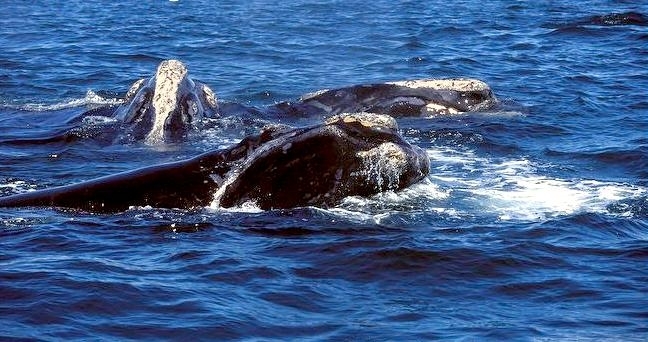 They are blue-black to light brown in color with white markings, although some albinos & near-albinos have been recorded. 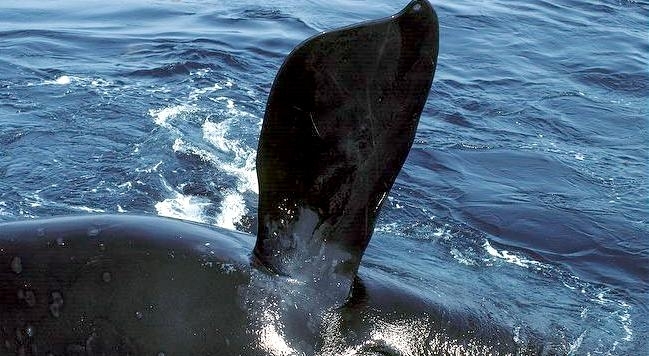 The Northern Right’s most noticeable feature is the horny growth of callosities on and around the head primarily near the blowhole around the rostrum, above the eyes and on the jaw. 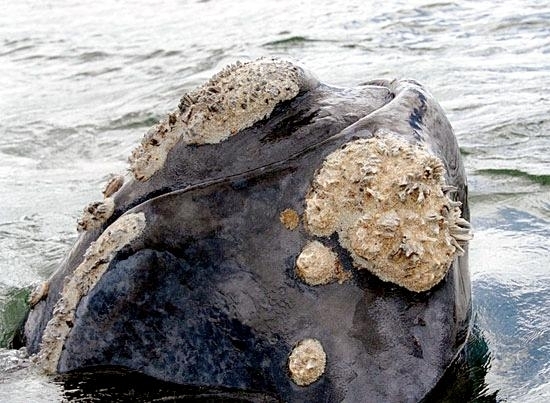 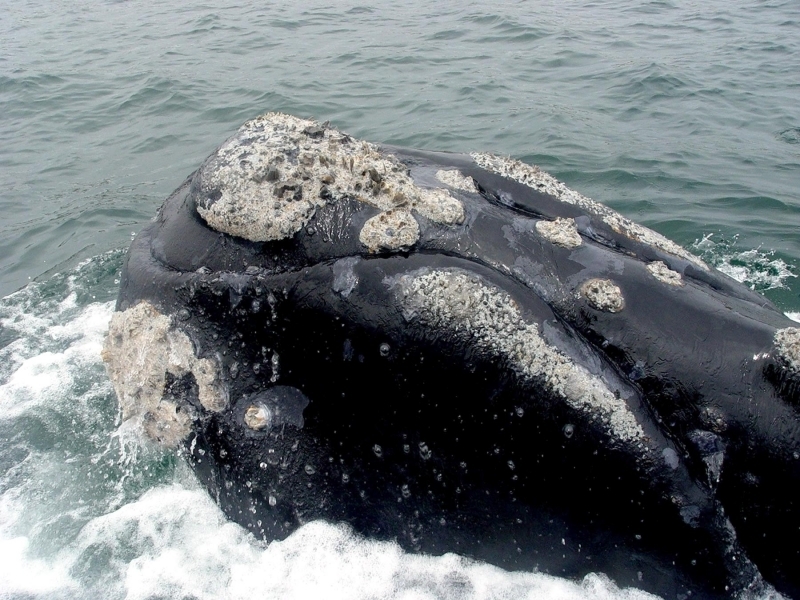 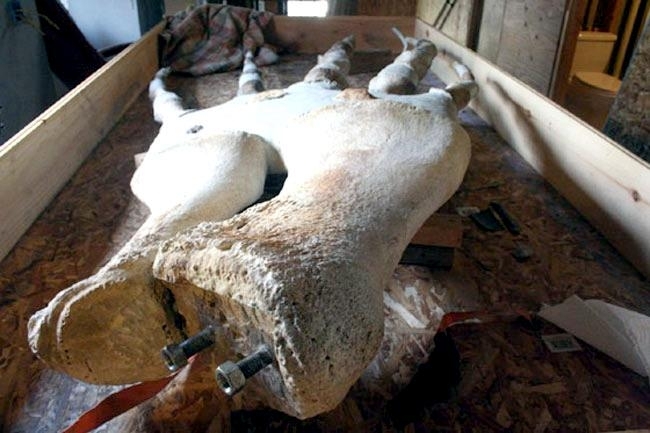 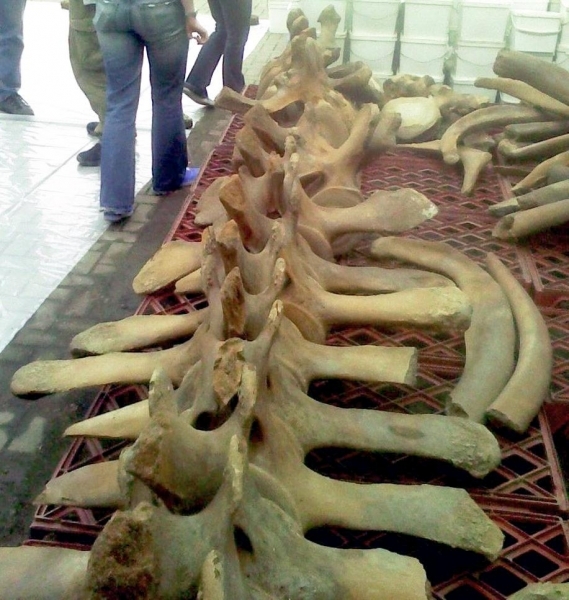 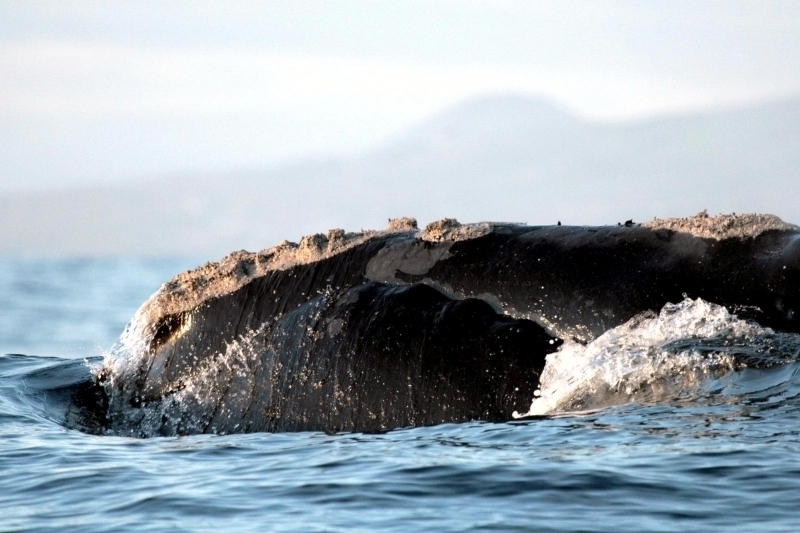 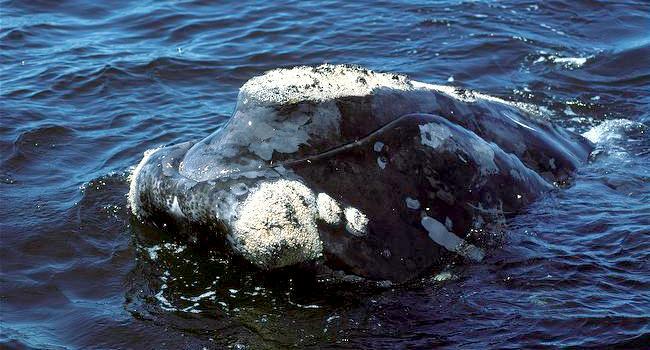 Callosities are outgrowths of tough skin and are often used to identify individual whales, as they are unique to each animal similar to fingerprints in humans. 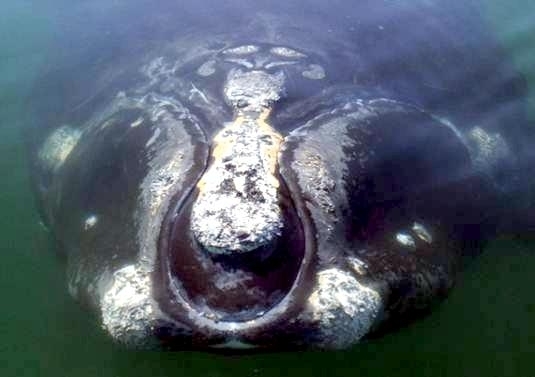 The largest of callosities are located on the front-most portion of the head and is referred to as the “bonnet” with other excrescences located on the upper edge of the lower jaw behind their blowhole and above their eyes. 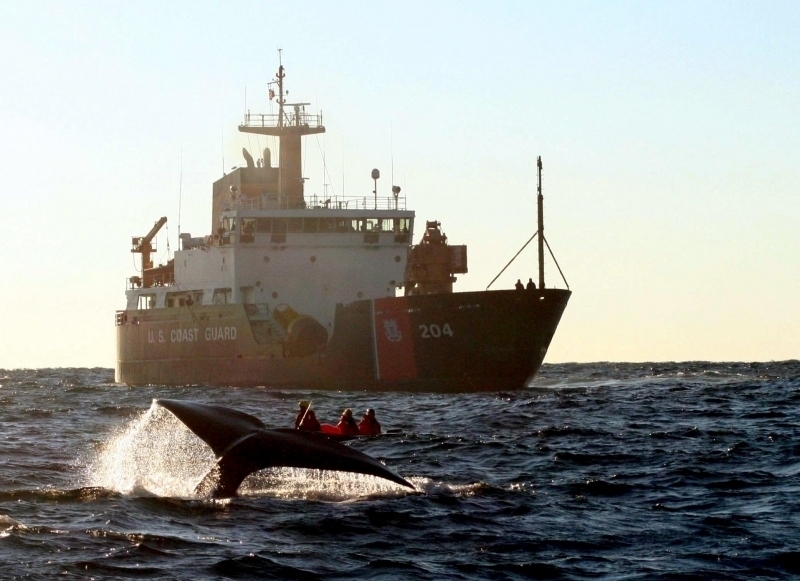 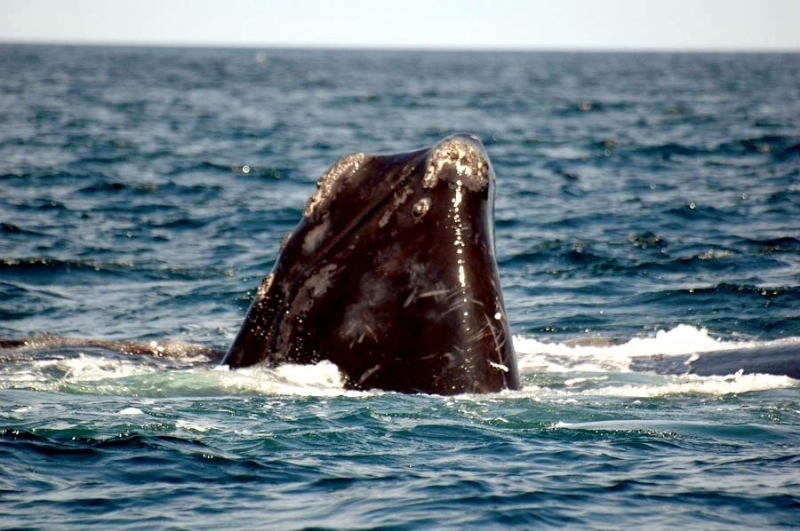 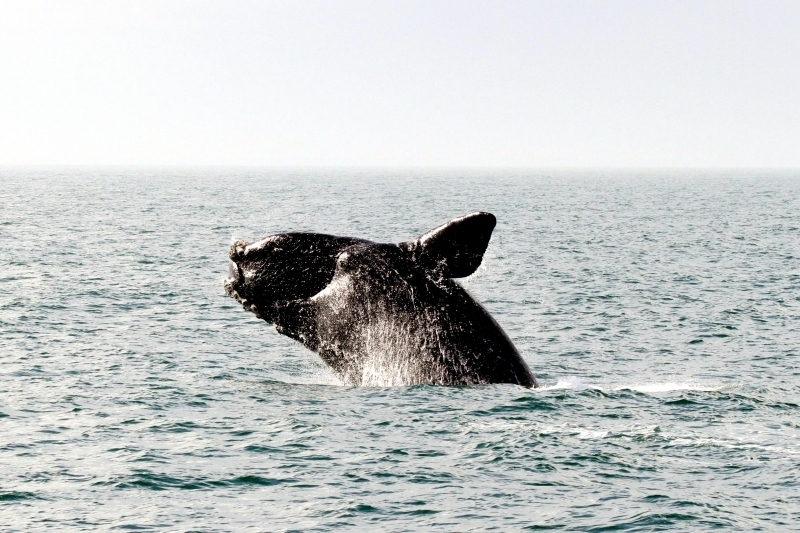 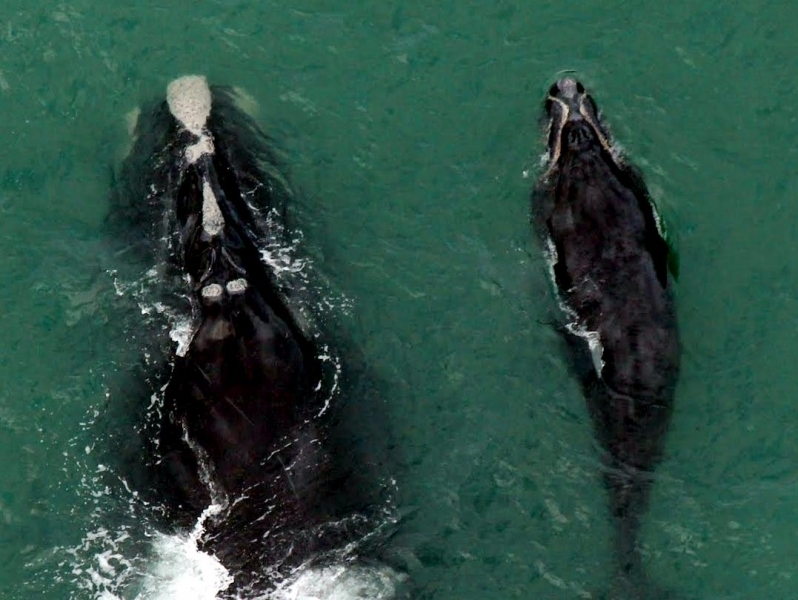 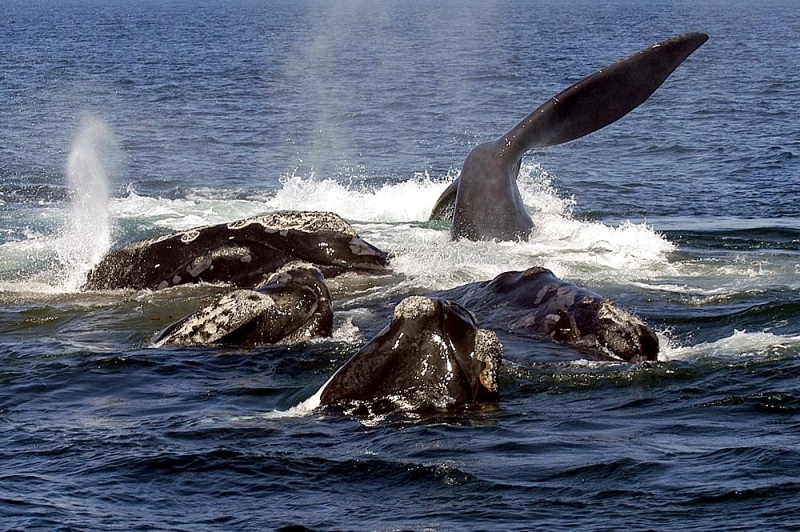 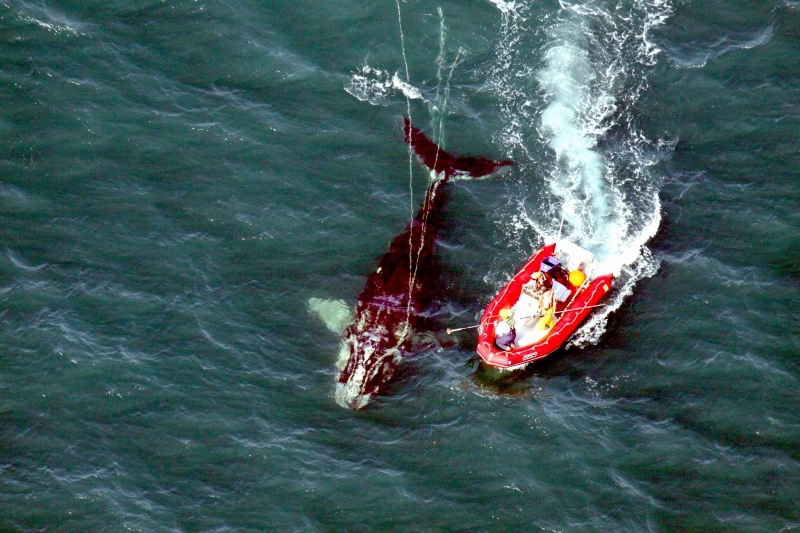 Northern Right Whales measure between 13.5-18 meters and weigh in the region of 55,000-95,000 kilograms. 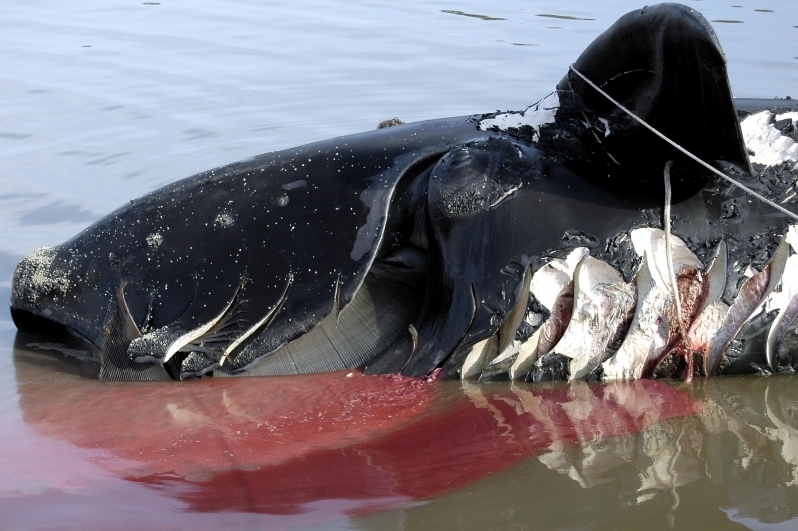 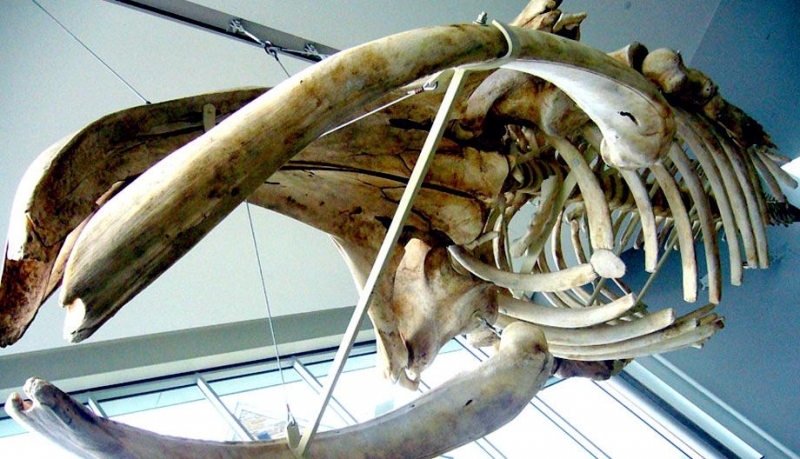 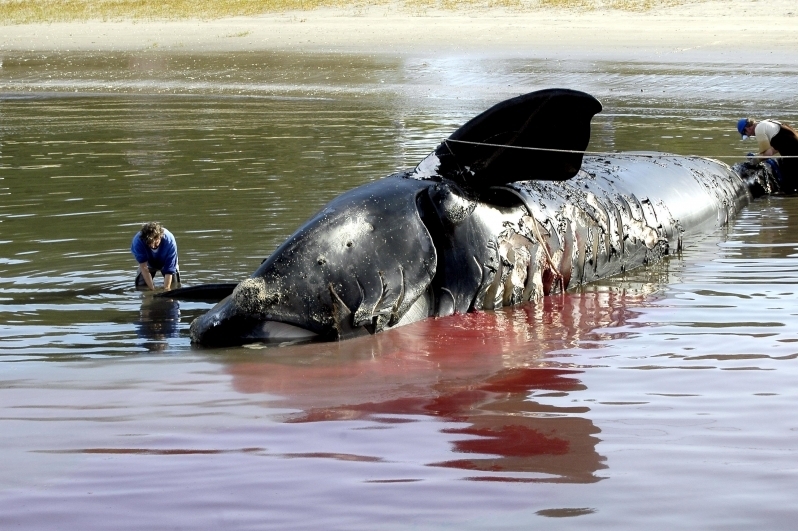 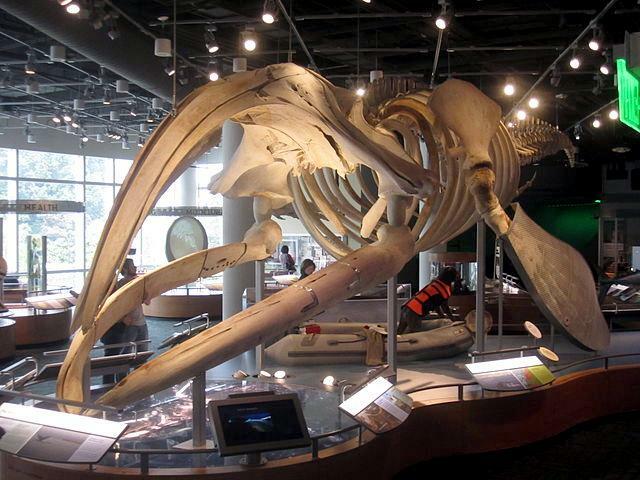 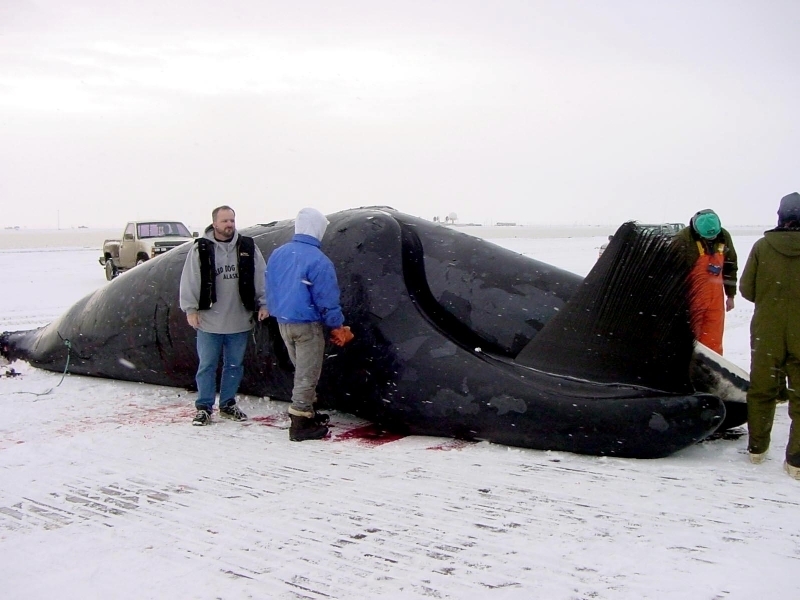 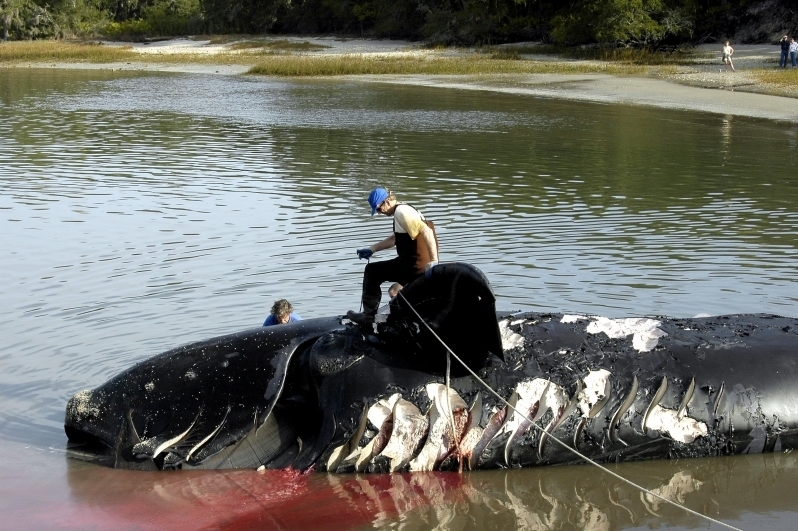 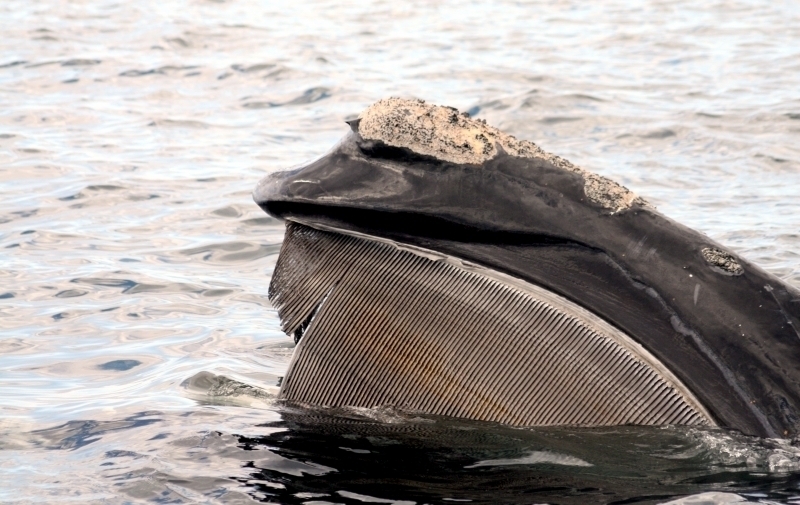 Their baleen is long & narrow, with a maximum length of 3 meters and around 400-540 plates per animal. 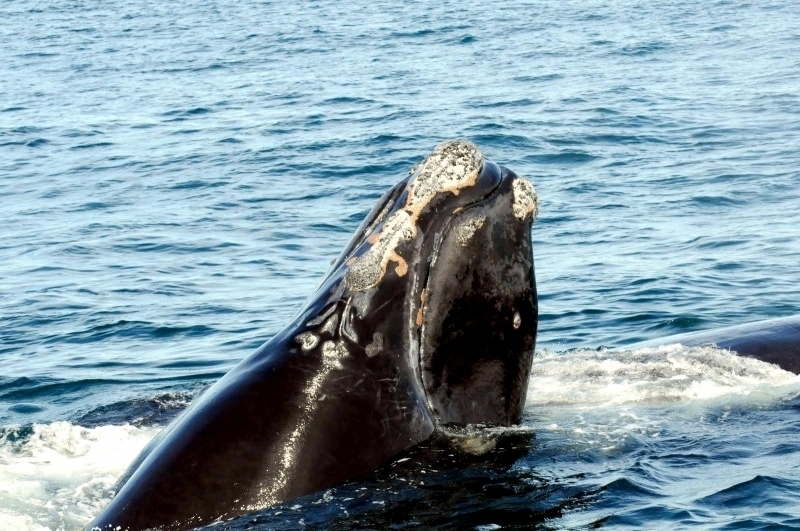 Northern Right Whales are despite their massive bulk, incredibly active cetaceans with breaching, lob-tailing & flipper-slapping all relatively common. 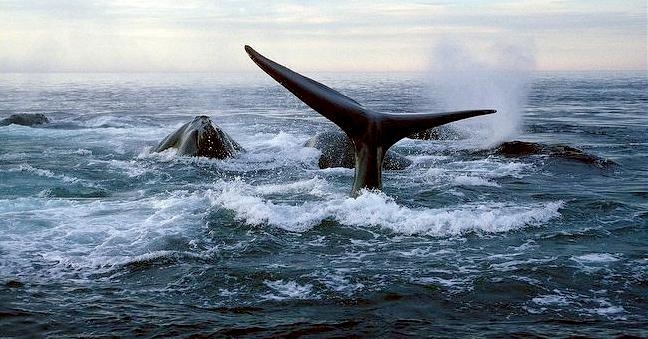 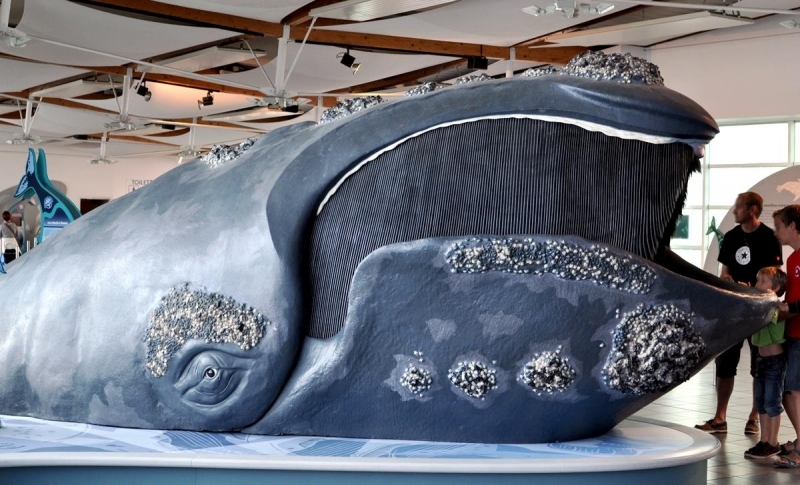 A particular favorite is ‘sailing’ where the whale hangs vertically upside-down in the water ‘standing’ on its head with its tail flukes in the air. 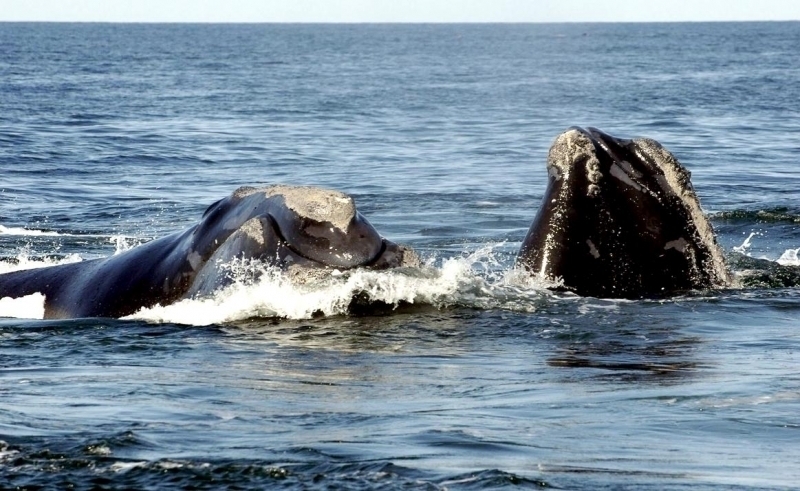 They communicate through ‘moans’ and ‘burping’ noises. 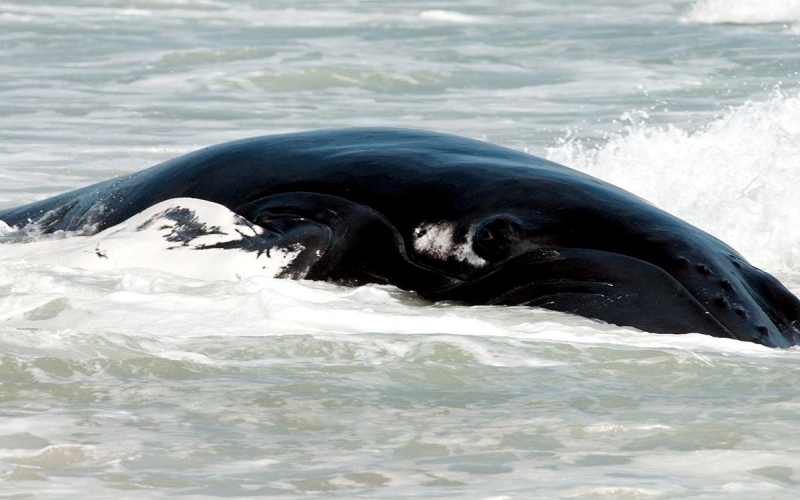 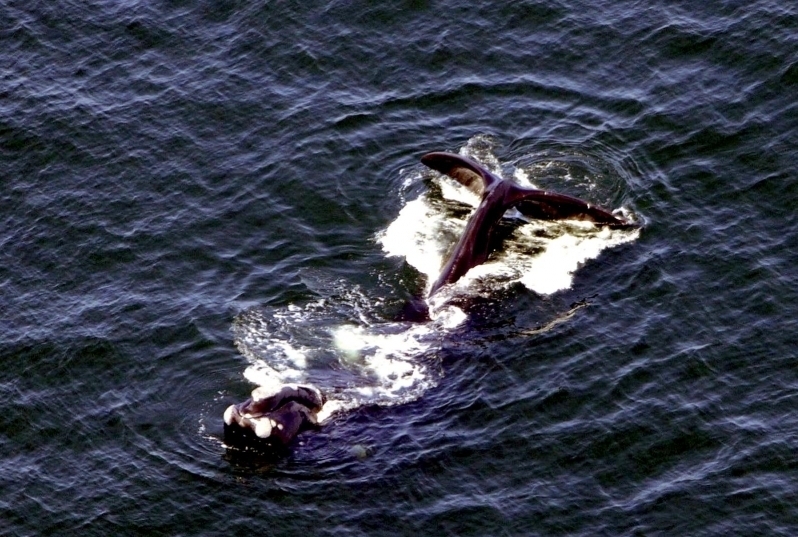 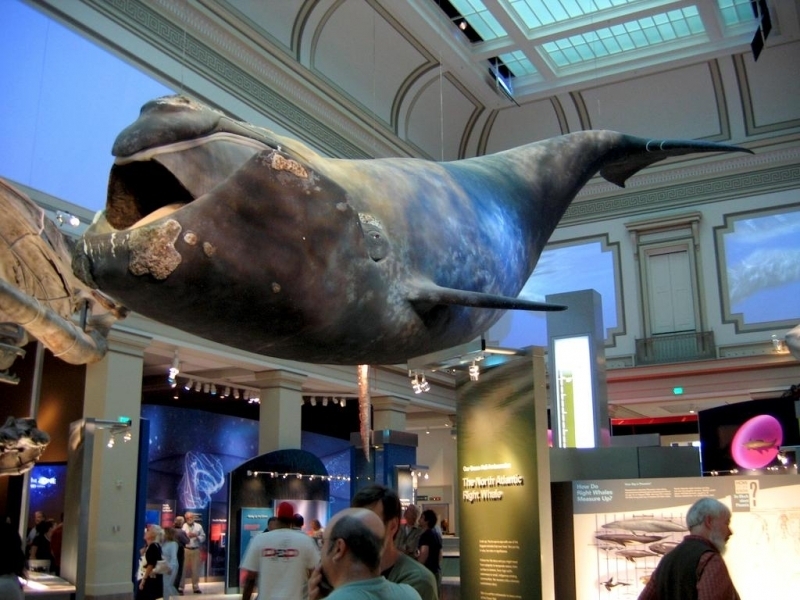 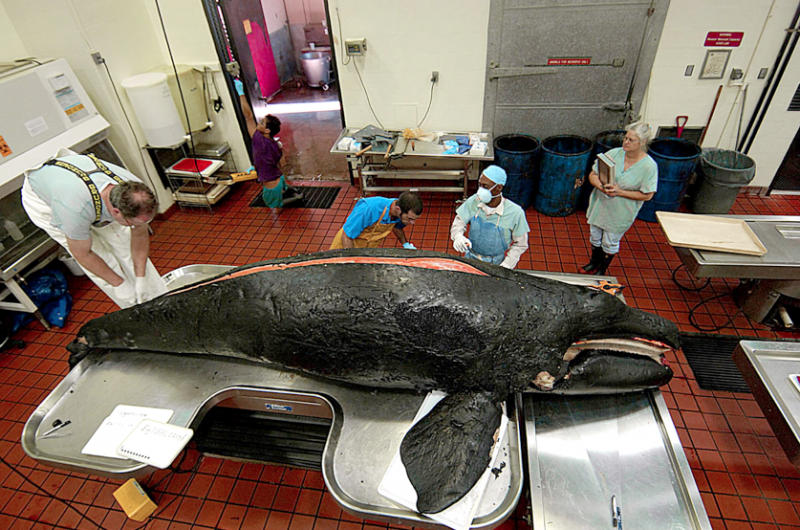 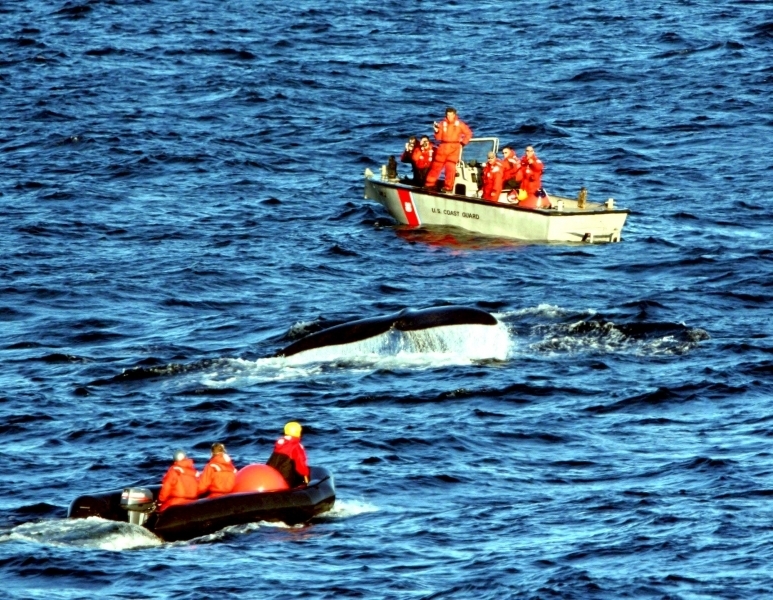 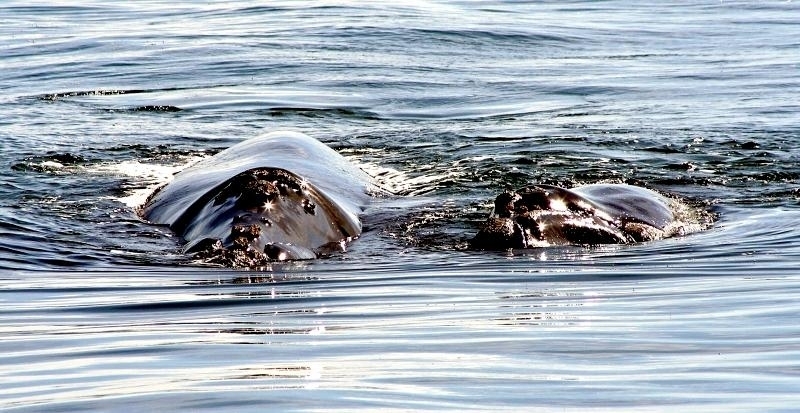 The Northern Right Whale was classified along with closely related Southern Right Whale under the genus Eubalaena, which literally means ‘right whale’, referring to the belief that these were the “right” whales to kill because they were known to float after dying, making them easy to catch. 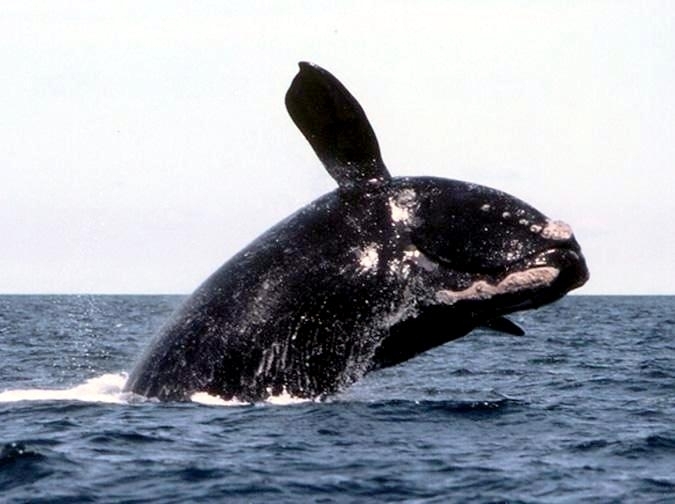 Northern Right Whales are only found in the northern Atlantic Ocean from west of Greenland south to Florida and Texas on the western brim and Madeira on the eastern brim. 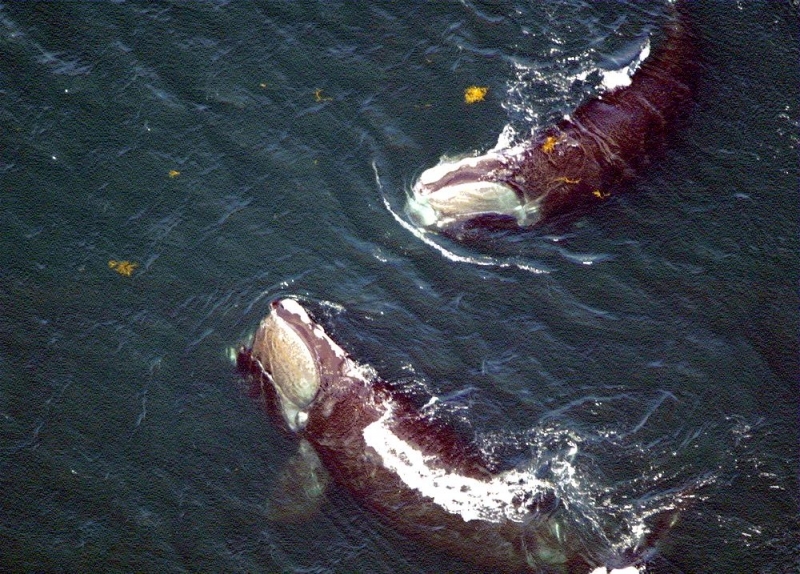 Northern Right’s often travel in slow-moving, small pods of 6 or less. 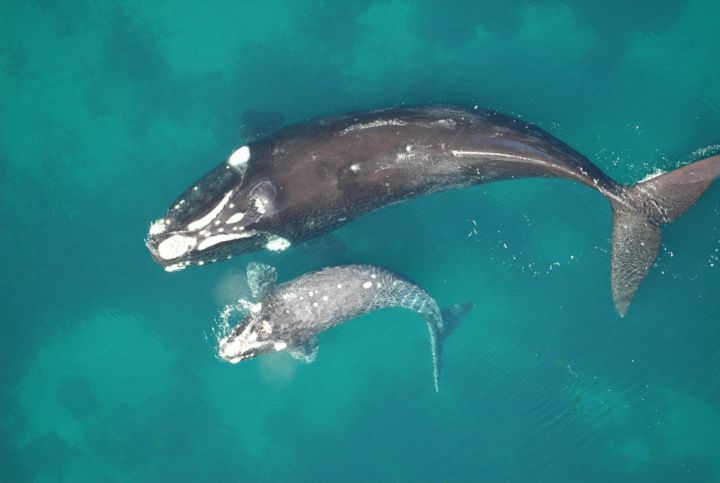 They have early migrations to the breeding & birthing grounds in the winter months and travel north to the plankton-rich colder feeding waters in the summer. 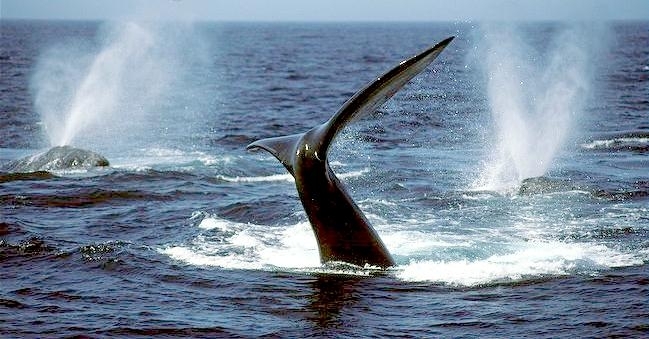 Dives of up to 50 meters for 15-20 minutes are common. 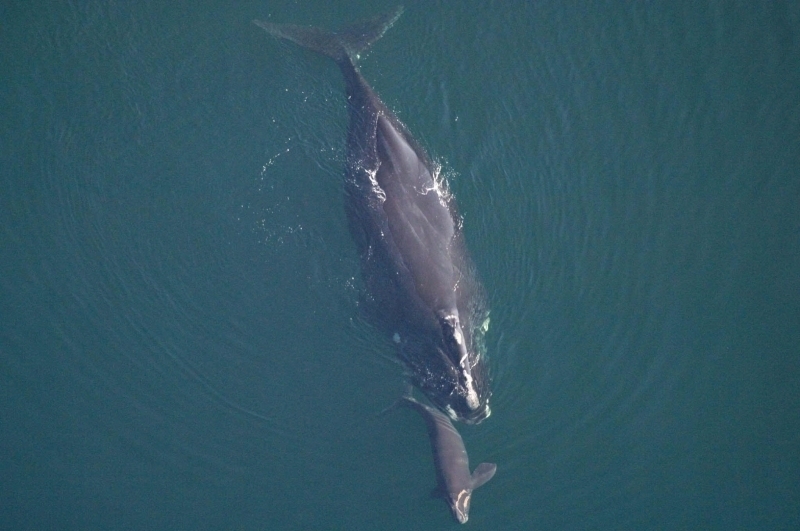 Calving seems to occur in shallow bays near to the coast, although there is insufficient evidence for this in some areas. 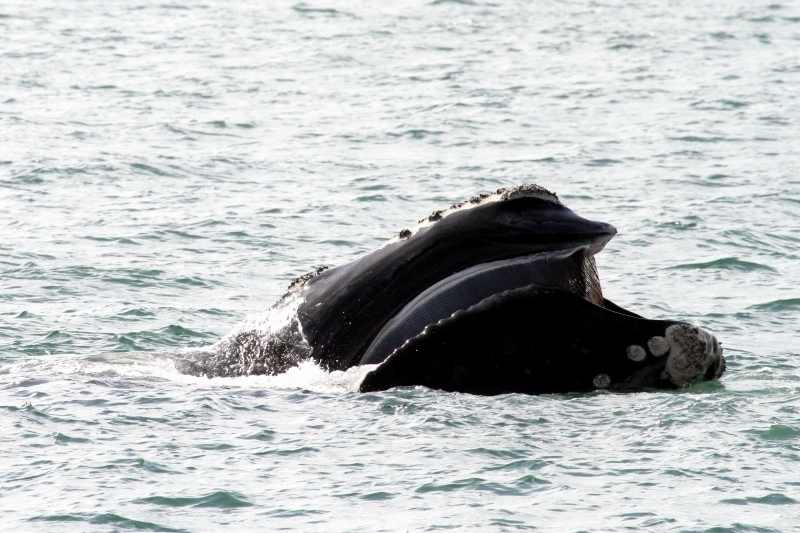 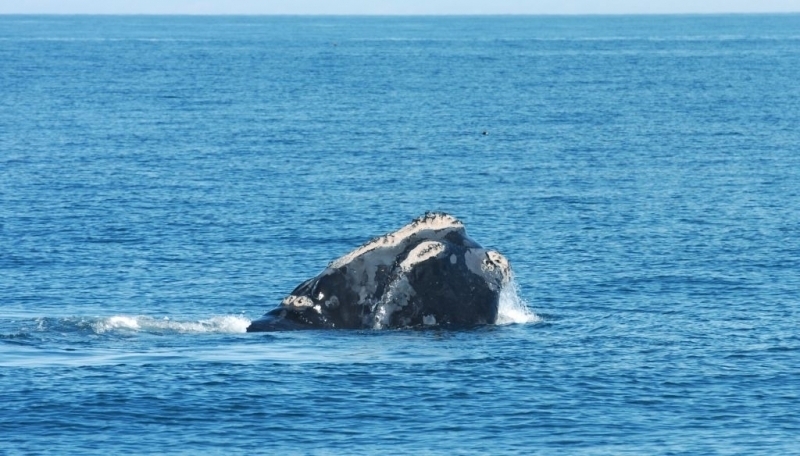 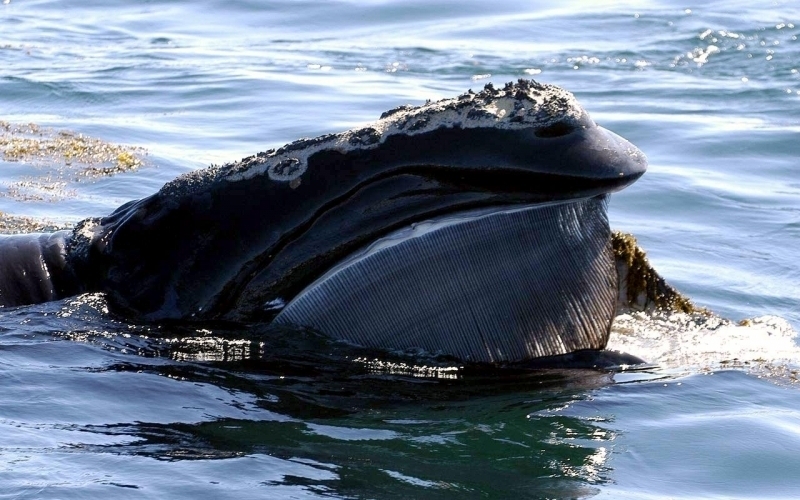 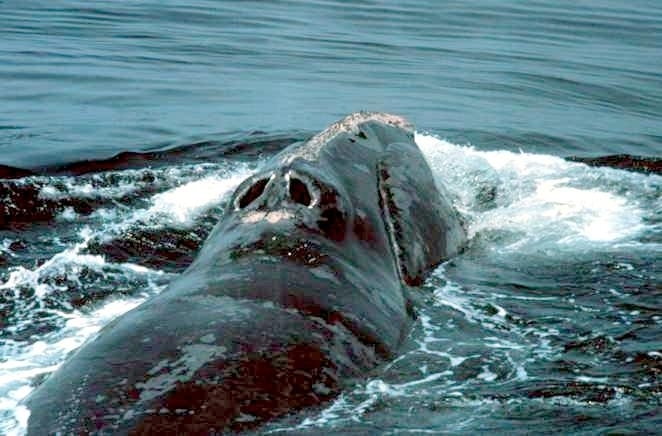 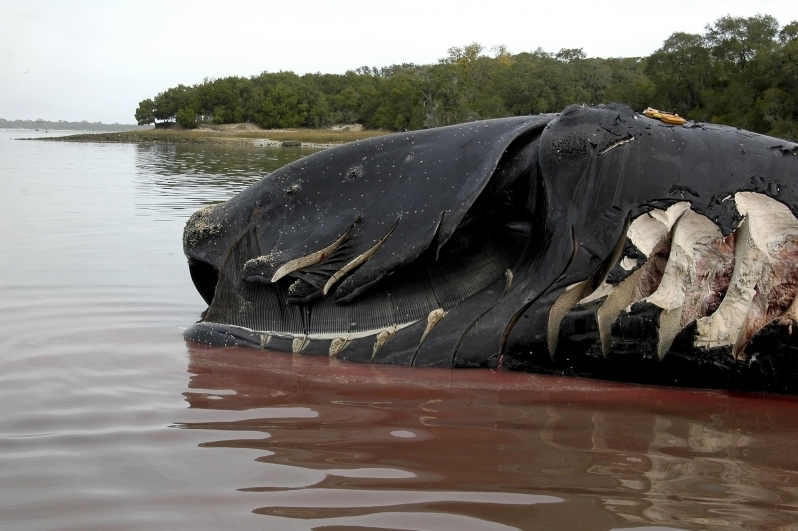 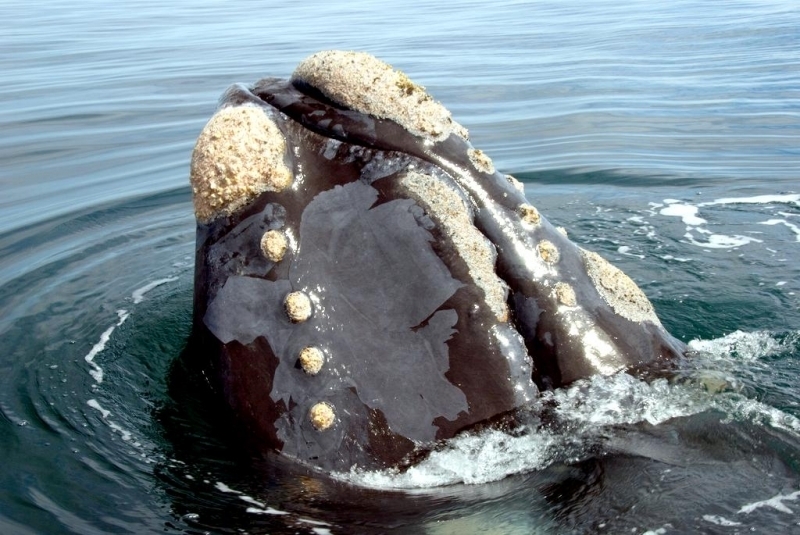 Northern Right Whales feed by filtering small marine animals out of the water with their baleen plates. 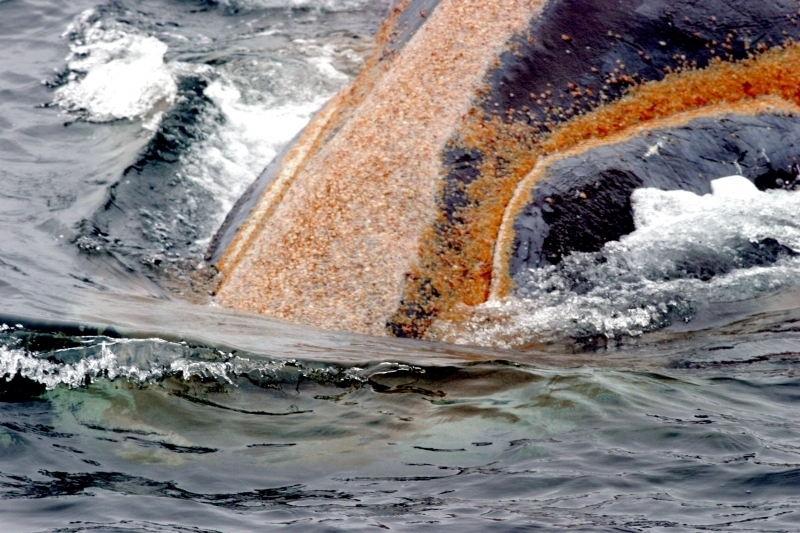 The main food is small crustaceans. 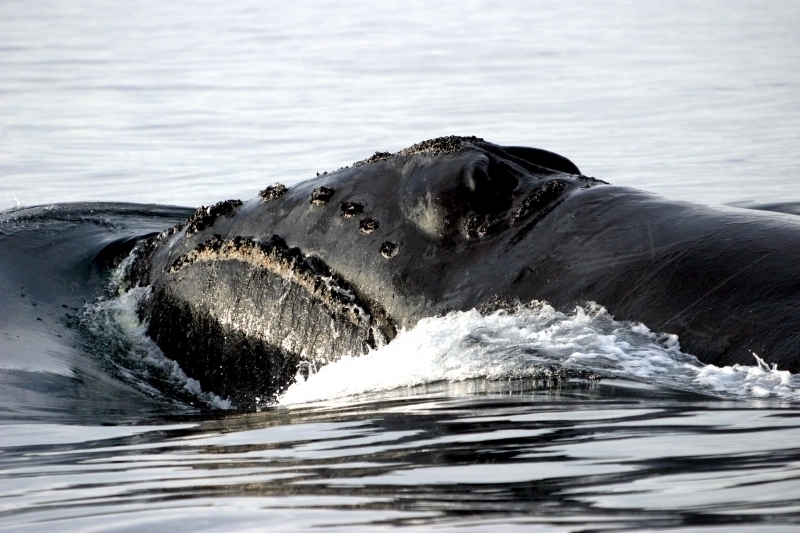 They usually feed below the surface, occasionally near the seabed on concentrations of copepods. 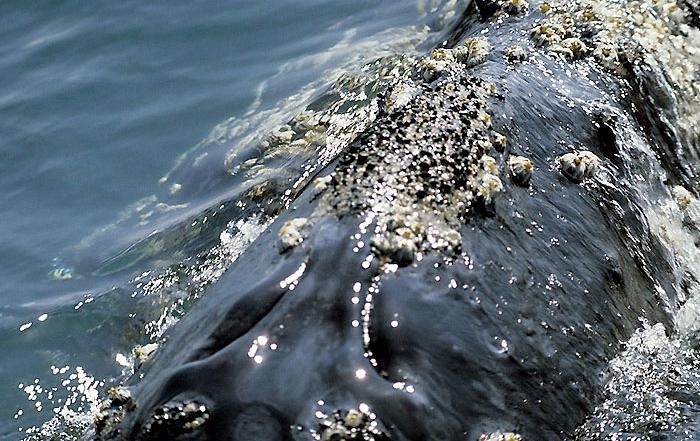 Surface feeding has also been observed. 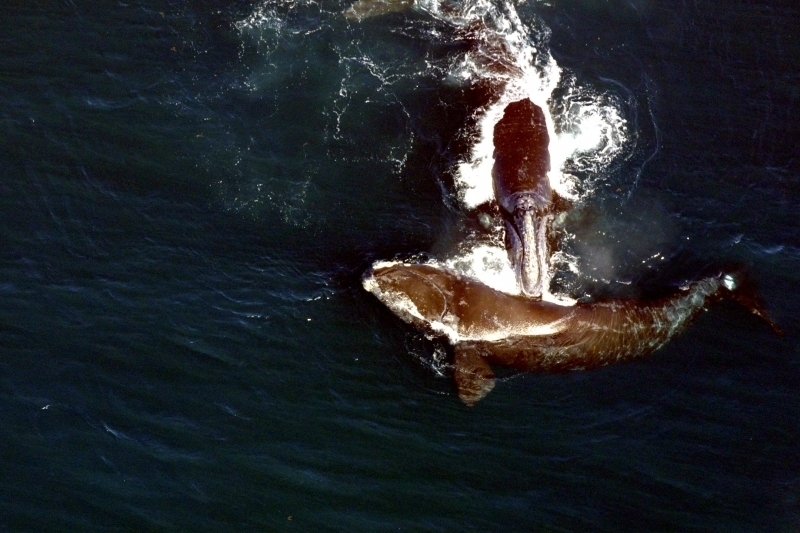 Mating & birthing occurs February to April in the warmer southern waters. 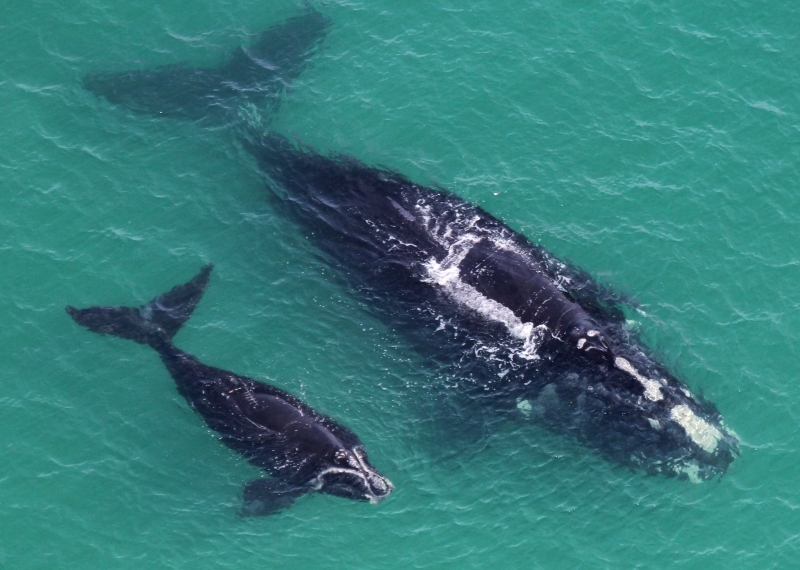 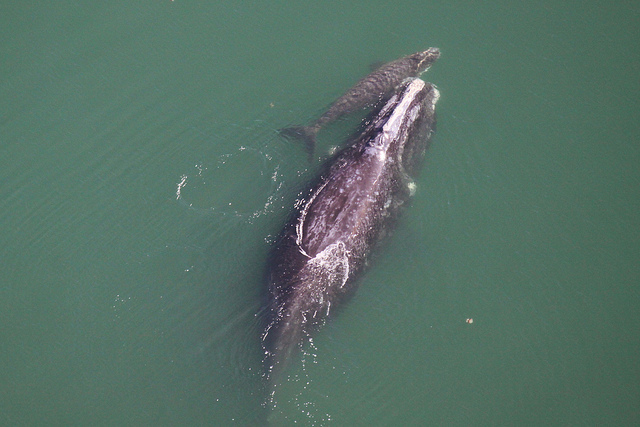 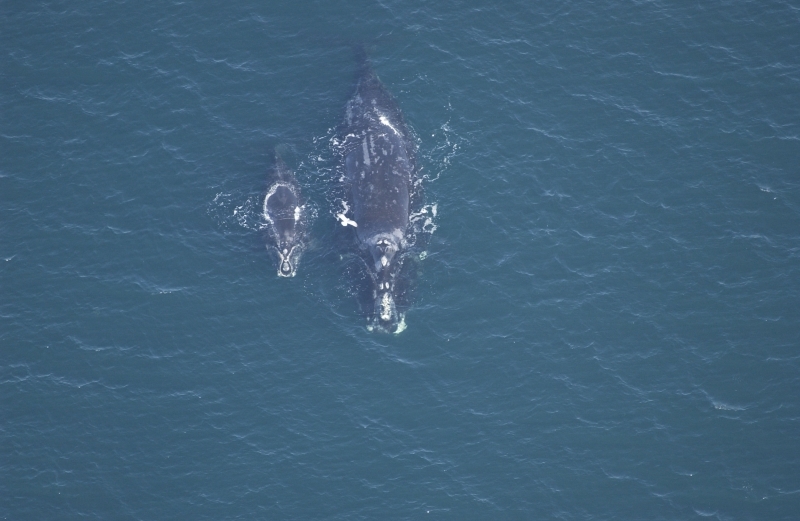 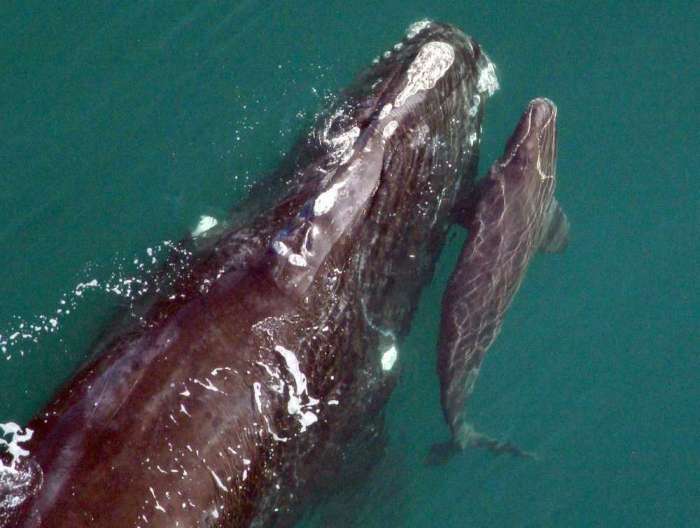 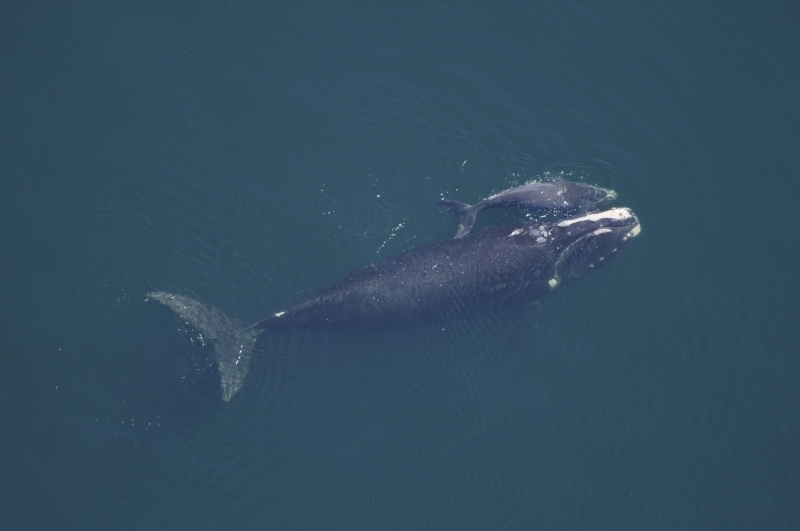 Northern Right Whale young are born the following spring after a gestation period of a year and measure about 5.5 meters at birth. 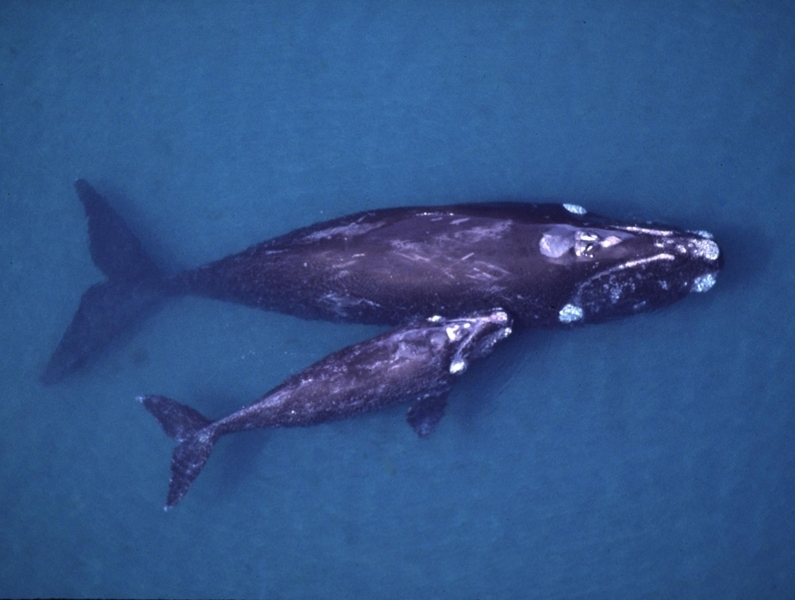 The young nurse for 6-7 months and by weaning have doubled their body size.